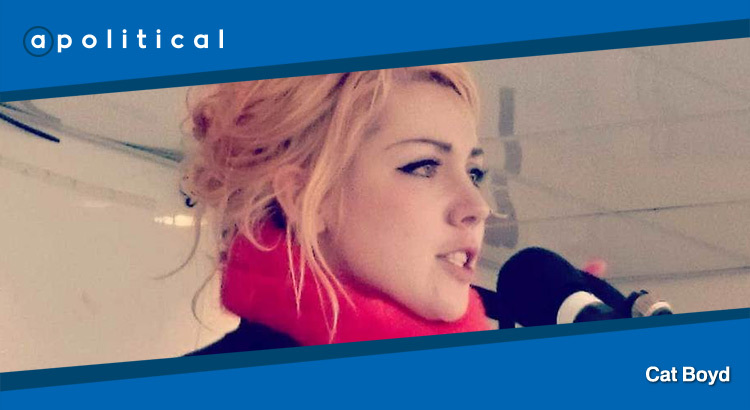 In Episode 34 of Apolitical we welcome Cat Boyd as our third guest of Season 2. Cat is the first candidate on the regional list for Glasgow for RISE, is a co-founder of the Radical Independence Campaign and writes regularly for The National, CommonSpace and many other outlets. • Her outlook on Scotland’s future.